Vaishakha masam is one of the highly auspicious month dedicated to Lord Vishnu. The other name of this month is Madhava Masam. Madhava means Lord Vishnu. Vaishakam is the second month of the hindu lunar calender. This month is also mentioned in Skanda Purana. Parashuram Jayanthi, Akshaya Tritiya, Ganga Sapthami, Sita navami, Mohini Ekadashi, Nrushimha Jayanti and Buddha Purnima are the major festivals during this month. Vaishakha Masam dates are different for purnimant and amavasyant calenders. In purnimant calenders, Vaishakh masam starts on 1st April 2018 and ends on 1st May 2018. In amavasyant calenders, Vaishakh masam falls between 16th April 2018 and 16th May 2018. 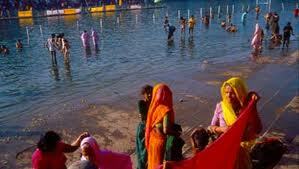 Vaishakh month is believed to be good for taking bath in Holy Rivers (Vaishakh Snan). It is also a good month for performing Homa, Go puja and Tila daan. 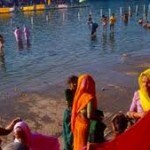 As this month falls during the summer, Udadaka Kumbh Daan (donating Water) is also considered auspicious in this month.